I apparently have too much time on my hands with this time off. I’ve been looking at cars for a month or so and for some obvious reasons really enjoyed driving a couple of Porsche’s. 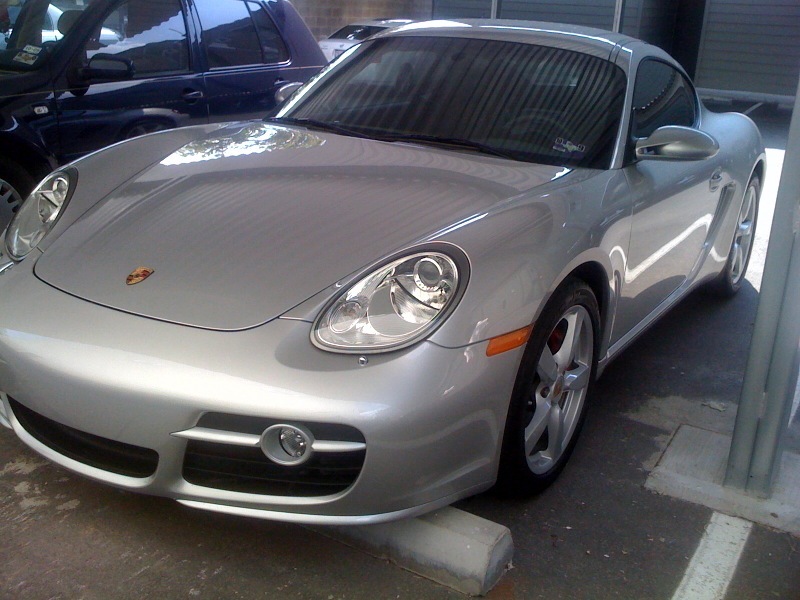 My first round test driving was with Katie when we tried out a Porsche Cayman and a Carerra. The handling and feel of these cars is amazing, great acceleration, hug the roads on turns and extremely responsive. I was taking turns I would normally take at 25 or 30 miles an our in my Acura TSX at 50 miles an hour without even feeling like I’m pushing it. I drove a few other cars but nothing compared so I decided to go ahead and get a Porsche Cayman S. I was supposed to sign the final paperwork on Saturday but the loan officer was out so it ended up being Monday. I luckily had the car over the weekend and ended up not liking … let’s be clearer I like the car, it’s just not for me. And this I’m sure shocks many, it shocked me, I never thought I’d be in a position where I’d be able to buy a Porsche and it never crossed my mind that I wouldn’t want it. I live downtown and the roads really aren’t that great, the hard suspension and road feel of the Cayman is great for speed and turns but the rattling in my neighborhood is a little too much. It’s a really small car. It is a two seater which I can probably get away with but given all the running gear and crap I normally have to deal with not the best situation. I live in East Austin and this car is just way too out of place for 5th and Comal, I need to move to Westlake or Stiner Ranch. That’ll help with the roads too. The car is a little too much “look at me” for my personality. I’m not 40 yet so maybe in a few years when I’m going through my mid-life crisis a Porsche will be more appealing. I did see Keith with his new Beemer today … the search continues for me. Next on the list are all the new hard top convertibles that have come out. This entry was posted on Tuesday, June 30th, 2009 at 8:17 am and is filed under Uncategorized. You can follow any responses to this entry through the RSS 2.0 feed. You can leave a response, or trackback from your own site. Bummer. didn’t get to ride in it. your reasons make total sense. now go buy you a ferrari! Whoa! So, wait, you had it just long enough to take Mus to a ritzy pool party?